Mary Schmidt Campbell has distinguished herself as an educator and prominent advocate of the arts. After earning a B.A. at Swarthmore College in 1969, Campbell taught English literature at Nkumbi International College in Zambia. Campbell returned to the United States and studied art history at Syracuse University, graduating with an M.A. in 1973. 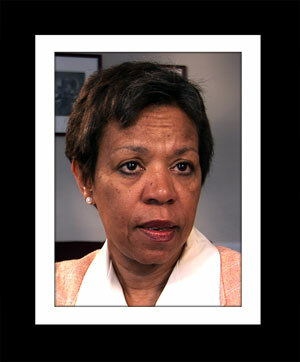 From 1977 to 1987, Campbell served as executive director of the Studio Museum in Harlem. During this time, she earned a Ph.D. from Syracuse University. She then served as commissioner of cultural affairs for the city of New York until 1991, managing an agency that funds New York cultural institutions and organizations. After establishing herself as a leader in the field of arts and public policy, Campbell became dean of New York University’s Tisch School of the Arts, where she is currently still dean. She established and chairs the Department of Art and Public Policy. Campbell lectures nationally on arts policy issues and American cultural history, is professionally associated with various institutes and academies, and has won several awards for her work.